For this week’s photo challenge the theme is “look up”, taking a moment to notice what is going on above you. 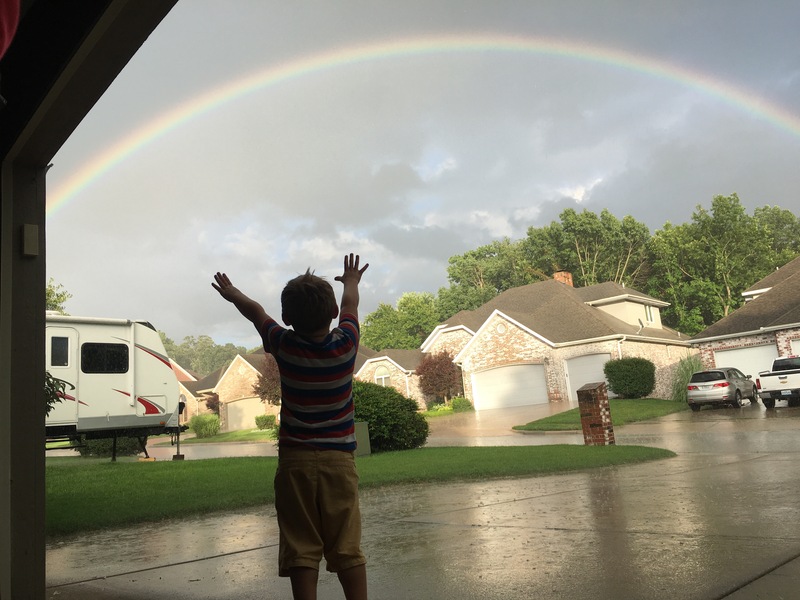 I choose this picture of my son experiencing his first in-person rainbow in the post-stormed sky. He reached out in wonder and laughed with excitement. Oh to be a child again! An outstanding photograph! Perfect capture of a perfect moment!